I know that everyone wants photos of penguins, but I thought that I’d drag out the process a little bit on this one. Instead, here is a photo essay of Ice. Yes, you heard that right. Sometimes inspiration in photography is drawn from subjects you might not expect, but the ice in Antarctica shows an amazing character. 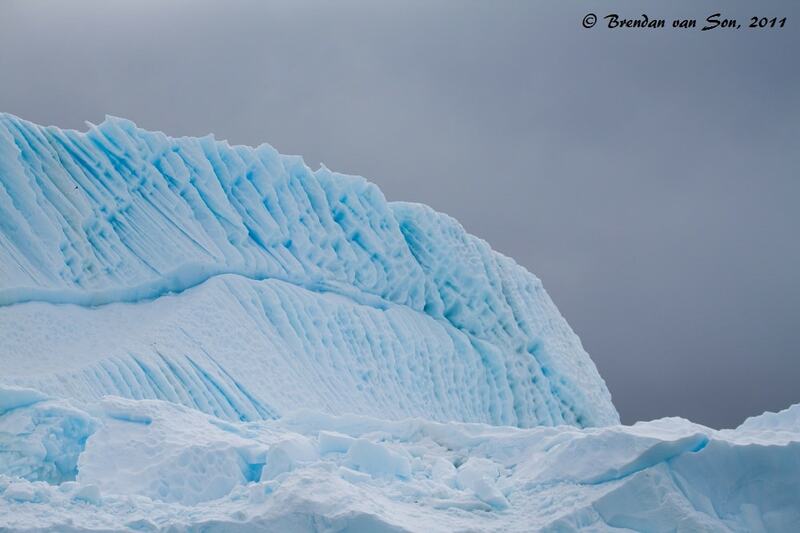 Each iceberg, each glacier, and each floating sheet shows a different journey towards creation. Like a finger print each piece of ice is different to the others as the powerful ocean carefully carves each and every section. And like a child who sees shapes in the clouds, visitors to the Antarctic can’t help but spot ducks, whales, and cars in the ice. Everyone has a different favourite, which one is your favourite? The Amazing thing to me is that around 75% of the ice is below the surface of the water. With a Polarizer on my lens I can see below the water a little bit. 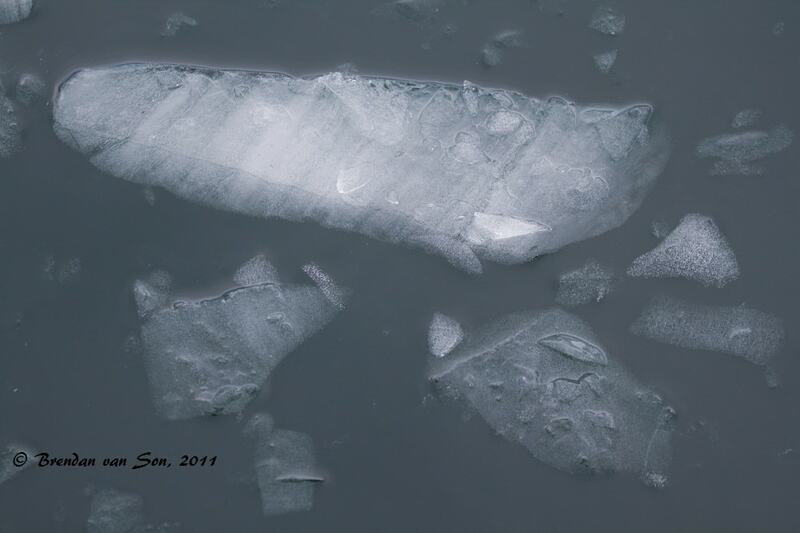 A close up view shows the work that water does to the ice. Each ripple of the water leaves its mark. Tiny pieces of ice lay patiently in the water waiting for their turn to become ice after waiting for thousands of years as ice. 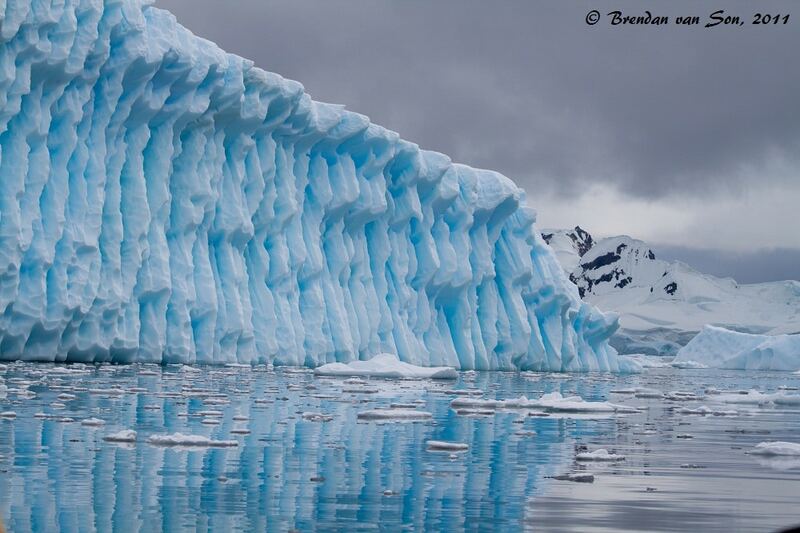 The bright blue in the ice is caused by light scattering, the same thing that makes our bright sky blue. 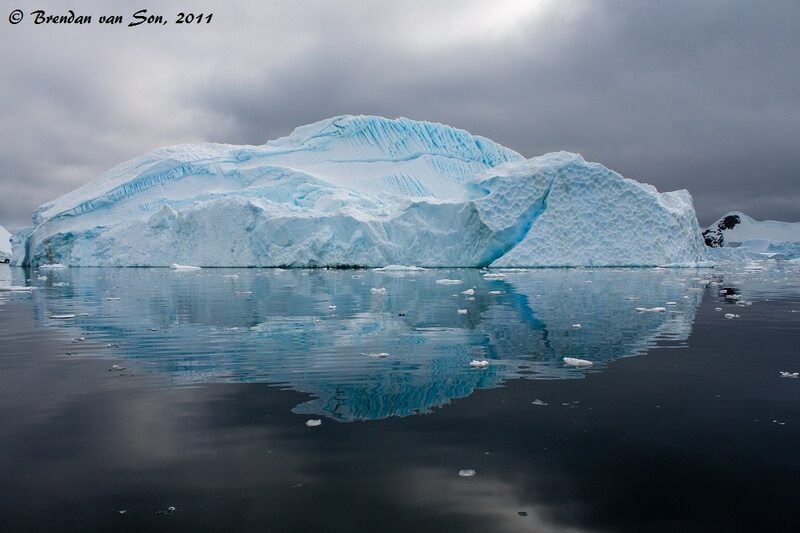 As I was photographing this iceberg a bird flew into my shot. I would have loved to get him focused, but as it is I think it is really amazing how the bird blends with the ice. If the ice wasn't amazing enough, the mountains in the background are spectacular. After photographing ice in Antarctica for a while, photographers start to get greedy looking for not only ice, but ice with mountains or animals. 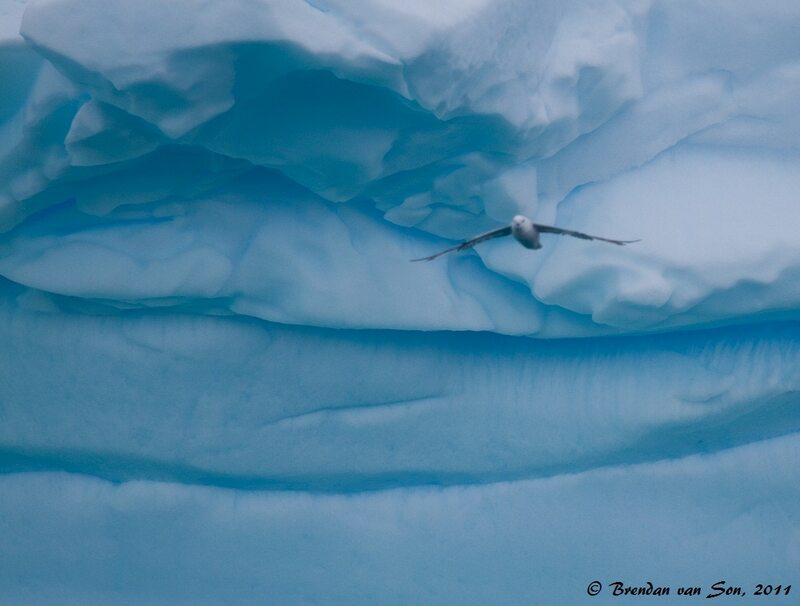 Birds find refuge from their flights and hunt from above as they perch themselves on giant chunks of ice. Below you can see the gap below the ice caused by the change in tides. At times the water calms down leaving the water without even a ripple. The water seems to glow a dark black, like the spill of a beautiful oil spill. 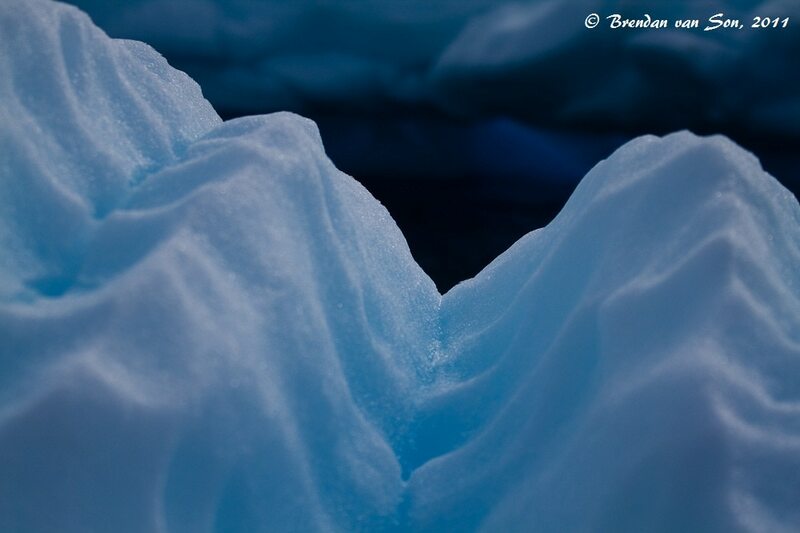 The design of this ice is a beauty that only nature can create, it almost looks like profiles of human faces carved in the blue ice. 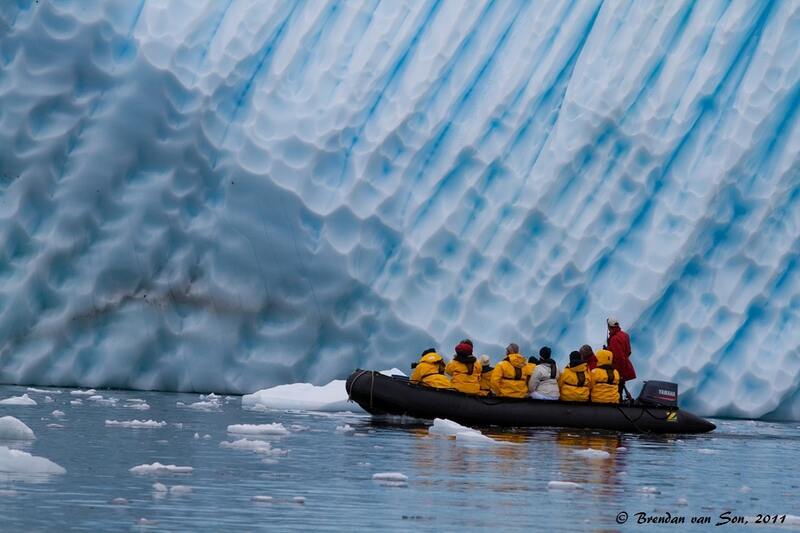 A group of zodiac cruisers admire the Antarctic Iceberg as close as possible. The scale of the huge ice in comparison to the boat gives some perspective to the size of these icebergs. I went to Antarctica with the good people at Peregrine Adventures. 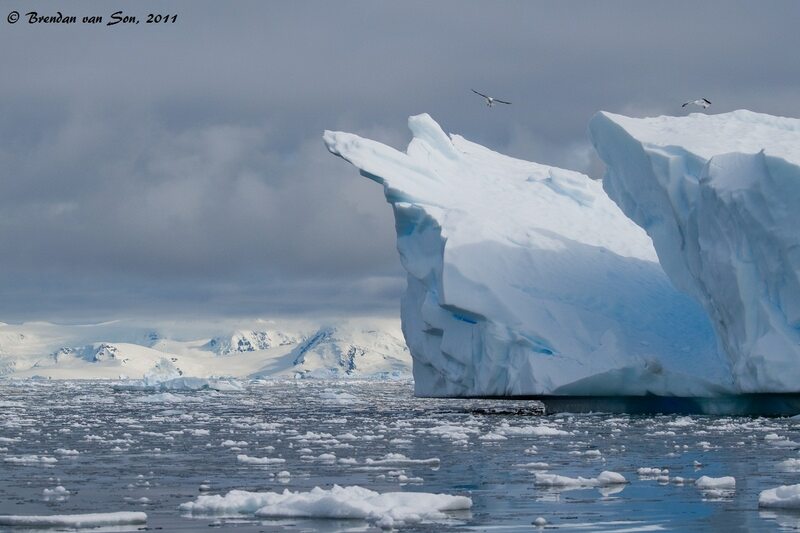 If you’re thinking about visiting Antarctica, or anywhere for that matter, you should check out Peregrine Adventures. Brings back memories of Iceland and, in particular, Jokulsarlon, where parts of the glacier are floating in the lagoon. Spectacular colours. Difficult to pick a favourite but 7, 9 and 10 float my boat and number 3 is slightly reminiscent of the inside of a Malteser! Such beautiful images. I am totally bummed that we didn’t go when we were in Patagonia. Next time. My fave was the image that you mentioned looks like human face profiles, that was exactly my thoughts and then I read your caption. AMAZING!!! Wow! 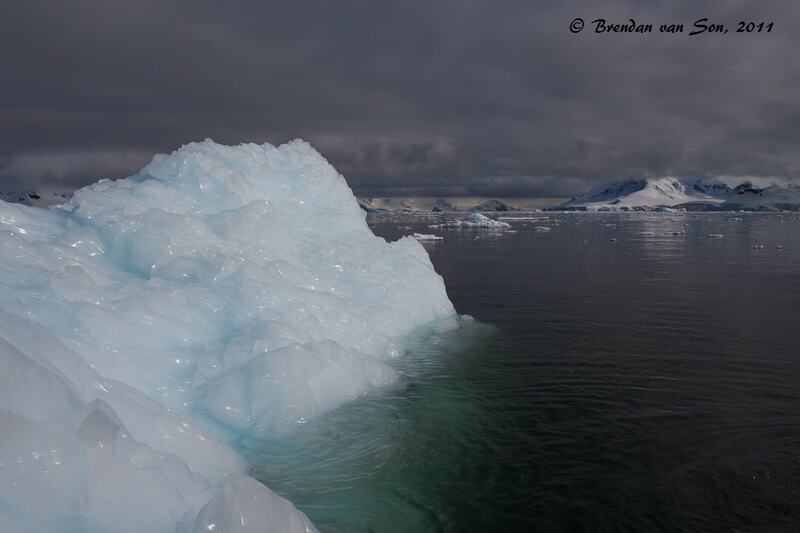 Your photos are stunning, I especially love the blue tint of the ice! I know I should be sick of looking at snow right now, but these are fantastic. I especially love the shot with the mountains in the back. Thanks Alouise, I don’t think I could get sick of looking at snow… feeling snow yes! Like Trish, I also had to think immediately at the glacier lake of Jokulsarlon, Iceland. But I guess Antartica might be a little more impressive :-). My personal favorite will be number 7. I cannot pick a favorite. They are all amazing. Wow, Brendan, you have some incredible shots here. I love the deep blue ice. That’s always been my favorite when seeing icebergs and the like. I already really wanted to go, but your posts and pictures are making me really want to prioritize Antarctica. Amazing stuff. Wow! Those are some incredible photos! I love the one where the bird flew into the shot. Awesome! When you study a work of Nature, it’s pretty miraculous. You’ve captured those intricate details with a sharp eye, thank you for these! 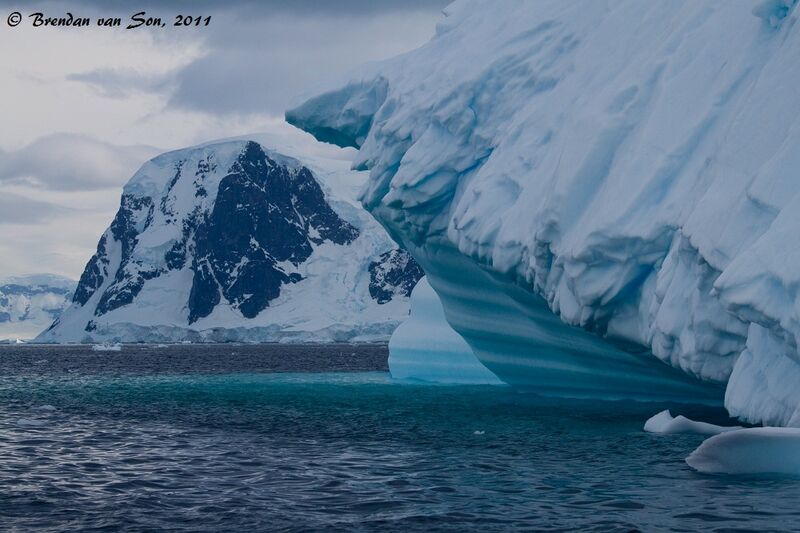 I’ll never travel to Antarctica, I know (BRRRR–I like my space heater), so I live vicariously through photos like these! wow, these are fabulous. the size of them is amazing. Thanks Heather… it’s one of those places you have to see to really believe for yourself. I am still finding myself shaking my head from time to time thinking about it. I don’t think it has fully sunk in yet. Spectacular. You are making me want to go to Antarctica even more. So many great photos, but if I would have to pick a favorite I would go with number 7 🙂 Looking forward to more photos from the Artic! You were so lucky to take this trip-I’m sure you already know and feel that! Very few people can say they have been here…..on a vacation no less! Ice pics are gorgeous, to echo the sentiments above. I couldn’t agree with you more! I’m in Antartctica now. I’m loving every moment with Glaciers. 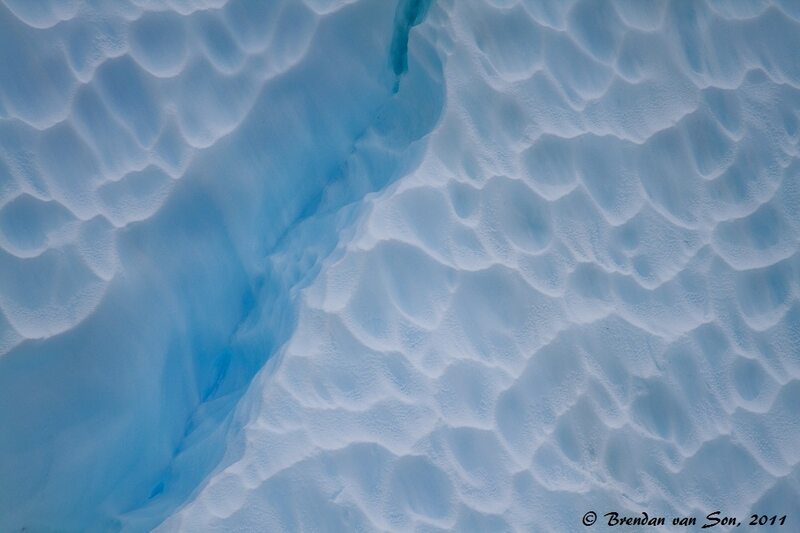 I will never get over that particular hue of ice blue that the glaciers seem to emanate. wonderful photo essay Brendan! Each one is amazing for a different reason, but my favorite is the one of the human faces and their reflection in the water. Like an icy Easter Island. Lovely!